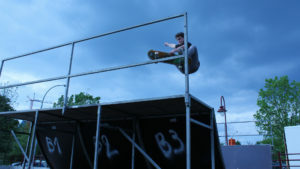 We have a mini ramp available of 9 meter long by 3,5 meter wide and 140 cm high. This one is perfect for skateboarding, step or BMX. Can be rented on both short and long term.